"Graveyard" redirects here. For other uses, see Graveyard (disambiguation). "Burial ground" redirects here. For other uses, see Burial Ground (disambiguation). A cemetery or graveyard is a place where the remains of dead people are buried or otherwise interred. The word cemetery (from Greek κοιμητήριον, "sleeping place") implies that the land is specifically designated as a burial ground. The term graveyard is often used interchangeably with cemetery, but primarily referred to a burial ground within a churchyard. The Oxford English Dictionary defines a cemetery as a "burial-ground generally; now esp. a large public park or ground laid out expressly for the internment of the dead, and not being the ‘yard’ of any church. (Cemetery c)" and specifies that the term "...originally applied to the Roman underground cemeteries or catacombs " Cemeteries are normally distinct from churchyards, which are typically consecrated according to one denomination and are attached directly to a single place of worship. Prehistoric cemeteries are sometimes referred to by the term "grave field". They are one of the chief sources of information on ancient and prehistoric cultures, and numerous archaeological cultures are defined by their burial customs, such as the Urnfield culture of the European Bronze Age. From about the 7th century, European burial was under the control of the Church and could only take place on consecrated church ground. Practices varied, but in continental Europe, bodies were usually buried in a mass grave until they had decomposed. The bones were then exhumed and stored in ossuaries, either along the arcaded bounding walls of the cemetery, or within the church under floor slabs and behind walls. In most cultures those who were vastly rich, had important professions, were part of the nobility or were of any other high social status were usually buried in individual crypts inside or beneath the relevant place of worship with an indication of their name, date of death and other biographical data. In Europe this was often accompanied with a depiction of their coat of arms. 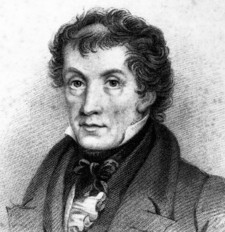 Urban planner and author John Claudius Loudon was one of the first professional cemetery designers, and his book On the Laying Out, Planting and Managing of Cemeteries (1843) was very influential on designers and architects of the period. Loudon himself, designed three cemeteries - Bath Abbey Cemetery, Histon Road Cemetery, Cambridge, and Southampton Old Cemetery. Urban cemeteries were more sanitary (a place to safely dispose of decomposing corpses) than they were aesthetically pleasing. Corpses were usually buried wrapped in cloth, since coffins, burial vaults, and above-ground crypts inhibited the process of decomposition. 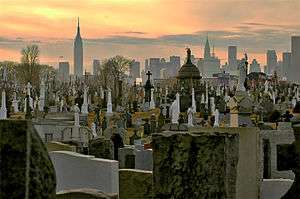 Nonetheless, urban cemeteries which were heavily used were often very unhealthy. Receiving vaults and crypts often needed to be aired before entering, as decomposing corpses used up so much oxygen that even candles could not remain lit. The sheer stench from decomposing corpses, even when buried deeply, was over overpowering in areas adjacent to the urban cemetery. Decomposition of the human body releases significant pathogenic bacteria, fungi, protozoa, and viruses which can cause disease and illness, and many urban cemeteries were located without consideration for local groundwater. 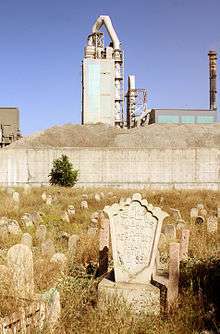 Modern burials in urban cemeteries also release toxic chemicals associated with embalming, such as arsenic, formaldehyde, and mercury. Coffins and burial equipment can also release significant amounts of toxic chemicals such as arsenic (used to preserve coffin wood) and formaldehyde (used in varnishes and as a sealant) and toxic metals such as copper, lead, and zinc (from coffin handles and flanges). The rural cemetery or garden cemetery is a style of burial ground that uses landscaping in a park-like setting. It was conceived in 1711 by the British architect Sir Christopher Wren, who advocated the creation of landscaped burial grounds which featured well-planned walkways which gave extensive access to graves and planned plantings of trees, bushes, and flowers. Wren's idea was not immediately accepted. But by the early 1800s, existing churchyards were growing overcrowded and unhealthy, with graves stacked upon each other or emptied and reused for new burials. As a reaction to this, the first "garden" cemetery—Père Lachaise Cemetery in Paris—opened in 1804. Because these cemeteries were usually on the outskirts of town (where land was plentiful and cheap), they were called "rural cemeteries", a term still used to describe them today. The concept quickly spread across Europe. Garden/rural cemeteries were not necessarily outside city limits. When land within a city could be found, the cemetery was enclosed with a wall to give it a garden-like quality. These cemeteries were often not sectarian, nor co-located with a house of worship. Inspired by the English landscape garden movement, they often looked like attractive parks. The first garden/rural cemetery in the United States was Mount Auburn Cemetery near Boston, Massachusetts, founded by the Massachusetts Horticultural Society in 1831. A lawn cemetery (as the name suggests) is covered in grass. Each grave is marked with a commemorative plaque (around 30 cm x 20 cm is typical) placed horizontally at the head of the grave at ground-level. While families are normally still involved in the design and information contained on the plaque, cemetery authorities generally constrain the size and materials of the plaque and often strongly encourage (or in some cases mandate) the use of a standard design. Typically, lawn cemeteries comprise a number of graves in this lawn setting with trees and gardens on the perimeter. Adolph Strauch introduced this style in 1855 in Cincinnati. While aesthetic appeal to family members has been the primary driver for the development of lawn cemeteries, cemetery authorities initially welcomed this new style of cemetery enthusiastically, expecting easier maintenance. Selecting (or grading) the land intended for a lawn cemetery so that it is completely flat allows the use of large efficient mowers (such as ride-on mowers or lawn tractors) - the plaques (being horizontally set in the ground) lie below the level of the blades and are not damaged by the blades. Unfortunately, in practice, while families are often initially attracted to the uncluttered appearance of a lawn cemetery, the common practice of placing flowers (sometimes in vases) and increasingly other items (e.g. small toys on children's graves) re-introduces some clutter to the cemetery and makes it difficult to use the larger mowers. While cemetery authorities increasingly impose restrictions on the nature and type of objects that can be placed on lawn graves and actively remove prohibited items, grieving families are often unwilling to comply with these restrictions and become very upset if the items are removed. Another problem with lawn cemeteries involves grass over-growth over time: the grass can grow over and cover the plaque, to the distress of families who can no longer easily locate the grave. Grasses that propagate by an above-ground stolon (runner) can cover a plaque very quickly. Grasses that propagate by a below-ground rhizome tend not to cover the plaque as easily. 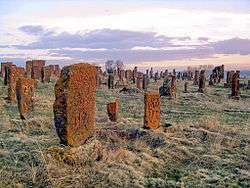 A natural cemetery or eco-cemetery or green cemetery is a new style of cemetery and is an area set aside for natural burials (with or without coffins). Natural burials are motivated by a desire to be environmentally conscious with the body rapidly decomposing and becoming part of the natural environment without incurring the environmental cost of traditional burials. Although in principle natural burial can be performed in any style of cemetery, typically the environmental motivations of those requesting natural burial tend to favor the use of a natural bushland or woodland setting for the natural burial. Because of the number of trees usually present in a natural cemetery, burials occur in whatever location and orientation best fits the natural environment as opposed to the more traditional rows or other orderly arrangements in traditional cemeteries. As a consequence, natural burial may actually be less efficient land-use than a traditional cemetery. However, because of the rapid decomposition of a natural burial, in principle the re-use of the grave site can occur earlier than in other conventional burials, which would improve the efficiency of land use. However, it remains to be seen if family members will accept the early re-use of natural burial sites, given the general community dislike of re-use of any kind of grave. Another consequence of the lack of orderly burials is the need for highly accurate surveying of the grave site for effective cemetery management, to prevent the accidental re-use of a grave site. In keeping with the intention of "returning to nature" and the early re-use potential, natural cemeteries do not normally have conventional grave markings such as headstones. Instead, the planting of a tree or bush or placement of a rock is regarded as the more appropriate way to commemorate the dead. However, as with other types of cemetery, the intentions of the cemetery authorities may be in conflict with the grieving practices of family and friends, for whom being able to visit the precise location of a grave and read the headstone is often important. In some natural cemeteries, names can be inscribed on naturally-shaped rocks (not carved headstones) but, unless the rock is particularly large and heavy, it can easily be knocked or kicked to another nearby location. Most of the Saudis in Al Baha are Muslims, and this is reflected in their cemetery and funeral customs. 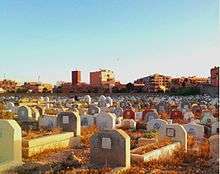 "The southern tribal hinterland of Baha — home to especially the Al-Ghamdi and Al-Zahrani tribes — has been renowned for centuries for their tribal cemeteries that are now slowly vanishing", according to the Asharq Al-Awsat newspaper: "One old villager explained how tribal cemeteries came about. 'People used to die in large numbers and very rapidly one after the other because of diseases. So the villagers would dig graves close by burying members of the same family in one area. That was how the family and tribal burial grounds came about... If the family ran out of space, they would open old graves where family members had been buried before and add more people to them. This process is known as khashf.'" During famines and outbreaks of epidemics huge numbers of people would die and many tribes faced difficulties in digging new graves because of the difficult weather. In the past, some Arab winters lasted for more than six months and would be accompanied with lots of rain and fog, which made movement difficult. But due to tribal rivalries many families would guard their cemeteries and put restrictions on who got buried in them. Across Baha, burial grounds have been constructed in different ways. Some cemeteries consist of underground vaults or concrete burial chambers with the capacity of holding a large number of bodies at a time. Such vaults include windows for people to peer through and are usually decorated ornately with text, drawings, and patterns. 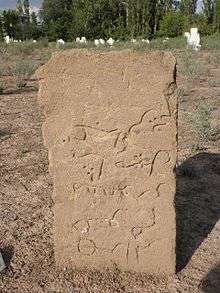 At least one resident believes that the graves unique in the region because many are not oriented toward Mecca, and therefore must pre-date Islam. View over a Belgian Battery Corner Cemetery, Ypres, Belgium. In Western countries, and many others, visitors to graves commonly leave cut flowers, especially during major holidays and on birthdays or relevant anniversaries. Cemeteries usually dispose of these flowers after a few weeks in order to keep the space maintained. Some companies offer perpetual flower services, to ensure a grave is always decorated with fresh flowers. Flowers may often be planted on the grave as well, usually immediately in front of the gravestone. For this purpose roses are highly common. One issue relates to cost. 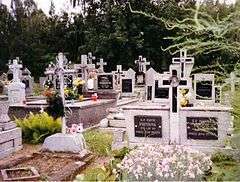 Traditionally a single payment is made at the time of burial, but the cemetery authority incurs expenses in cemetery maintenance over many decades. Many cemetery authorities find that their accumulated funds are not sufficient for the costs of long-term maintenance. This shortfall in funds for maintenance results in three main options: charge much higher prices for new burials, obtain some other kind of public subsidy, or neglect maintenance. For cemeteries without space for new burials, the options are even more limited. Public attitudes towards subsidies are highly variable. People with family buried in local cemeteries are usually quite concerned about neglect of cemetery maintenance and will usually argue in favour of public subsidy of local cemetery maintenance, whereas other people without connection to the area often argue that public spending comes from their taxes and therefore should be spent on the living in the district rather than being wasted on the dead. A practical problem with regard to contacting families is that the original person who organised a burial may themselves also be dead and buried and locating living family members many decades later is virtually impossible (or at least prohibitively expensive). Therefore, communication about re-use in local cemeteries tends to occur only through in local publications, which often do not reach family members living further afield who may only become aware of the re-use of the grave after the event (and after the removal and destruction of monuments and headstones). Some cemeteries did foresee the need for re-use and included in their original terms and conditions a limited tenure on a grave site and most new cemeteries follow this practice, having seen the problems faced by older cemeteries. 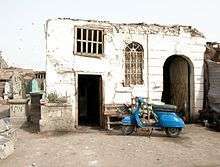 However, even when the cemetery has the legal right to re-use a grave, strong public opinion often forces the authorities to back down on that re-use. Also, even when cemeteries have a limited tenure provision in place, often funding shortages force them to contemplate re-use earlier than the original arrangements provided for. Another type of grave site that must be considered for re-use are those that have never been used (but have been purchased at some time for future use). In principle it would seem easier to re-use such grave sites as there can be no claims of desecration, but often this is made more complicated by the legal rights to be buried obtained by the pre-purchase, as any limited tenure clause only takes effect after there has been a burial. Again, cemetery authorities suspect that in many cases the holders of these burial rights are probably dead and that nobody will exercise that burial right, but again some families are aware of the burial rights they possess and do intend to exercise them as and when family members die. Again the difficulty of being unable to locate the holders of these burial rights complicates the re-use of those graves. On the other hand, newer cemeteries might be designed to be more efficiently maintained with lower labour through the increased use of equipment, e.g. lawn cemeteries where the maintenance can be performed with a ride-on mower or lawn tractor. However, efficient maintenance of newer graves is often frustrated by the actions of mourners who often place flowers and other objects on graves. These objects often require manual intervention; in some cases objects will be picked up and returned after maintenance, in other cases (e.g. dead flowers) they will be disposed of. ↑ Harper, Douglas. "cemetery". Online Etymology Dictionary. 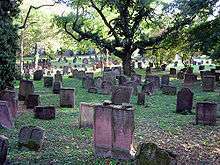 ↑ "Know Your English: Difference between 'graveyard' and 'cemetery'". The Hindu. October 25, 2011. ↑ "What's the Difference Between a Graveyard and a Cemetery". January 19, 2013. ↑ Meller, Hugh (1981). London Cemeteries: An Illustrated Guide and Gazetteer. Amersham: Avebury. ISBN 0-86127-003-7. ↑ Melanie Louise Simo (1988) Loudon and the Landscape, p. 283. ↑ "The Historical Development of Cemeteries in England". ↑ Lomax, John Nova. "The Seoul of Houston: The Weather Was Not the Strong Point on Long Point." Houston Press. January 30, 2008. ↑ Mytum 2004, p. 50. ↑ Worpole 2003, pp. 11–12. 1 2 Nonini 2014, p. 390. ↑ Flanders 2014, p. 220. ↑ Carroll 2013, p. 362. ↑ Upton 1997, p. 131-132. ↑ Taylor & Allen 2006, pp. 342–342. ↑ Meuser 2010, p. 137. ↑ Flanders 2014, pp. 219–221. ↑ Worpole 2003, p. 8. ↑ Worpole 2003, p. 173. ↑ Forman 2014, pp. 357–358. ↑ Cantor 2010, p. 93. ↑ Flanders 2014, p. 219. ↑ Keels 2003, p. 21. ↑ van Rensslaer, M. G. (June 3, 1891). "Garden and Forest". 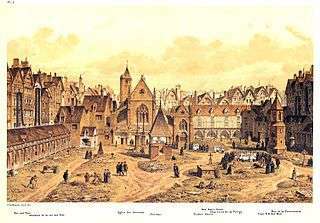 Sir Christopher Wren as Gardener: 254–255. 1 2 LeeDecker 2009, pp. 145, 148. ↑ Thomas 2003, p. 32. ↑ Mickey & 2013 page-17. ↑ Vercelloni, & Vercelloni 2010, p. 198. ↑ Hodgson 2001, p. 30. ↑ Harney 2014, p. 102. ↑ Mytum 2004, p. 51. ↑ Sears, John F. (1989). Sacred Places: American Tourist Attractions in the Nineteenth Century. University of Massachusetts Press. pp. 117–118. ISBN 9781558491625. Retrieved 2013-07-25. First introduced in 1855 by Adolph Strauch, superintendent of the Spring Grove Cemetery in Cincinnati, the park or lawn cemetery featured open, uncluttered expanses of lawn rather than the uneven, wooded, picturesque scenery of the rural cemetery. [...] By the final decades of the nineteenth century, the park cemetery would become the dominant form of American burial ground. 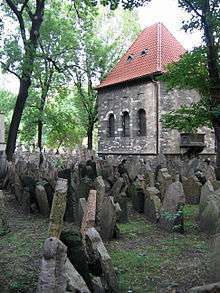 ↑ "City cemetery draws visitors for 150 years"
↑ "Zaduszkowe tradycje". TVP Białystok (in Polish). November 2, 2012. ↑ News: New trend: Cemetery Skyscrapers Archived November 11, 2006, at the Wayback Machine. ↑ Cemeteries Relocated by TVA. Accessed July 13, 2009. ↑ "O'Hare Growth May Mean Moving a Cemetery". NPR, November 19, 2005. Accessed July 13, 2009. ↑ St. Johannes Cemetery Relocation. Accessed July 13, 2009. ↑ "Remains in 19th century graves downtown ID'd as soldiers". The Tucson Citizen, April 17, 2009. Accessed July 13, 2009. 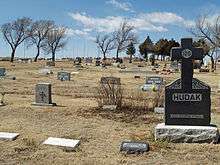 ↑ "Cemetery Relocation Battle Ongoing". Archived May 9, 2008, at the Wayback Machine. Platte County Citizen, July 4, 2007. Accessed July 13, 2009. ↑ Cemetery Act of Alberta. Accessed July 13, 2009. Cantor, Norman L. (2010). After We Die: The Life and Times of the Human Cadaver. Washington, D.C.: Georgetown University Press. ISBN 9781589017139. Carroll, Andrew (2013). Here Is Where: Discovering America's Great Forgotten History. New York: Crown Archetype. ISBN 9780307463999. Flanders, Judith (2014). The Victorian City: Everyday Life in Dickens' London. New York: Thomas Dunne Books. ISBN 9781250040213. Forman, Richard T.T. (2014). Urban Ecology: Science of Cities. Cambridge, U.K.: Cambridge University Press. ISBN 9781107007000. Harney, Marion (2014). Gardens and Landscapes in Historic Building Conservation. Chichester, West Sussex, U.K.: John Wiley & Sons. ISBN 9781118508121. Hodgson, Larry (2001). The Garden Lover's Guide to Canada. New York: Princeton Architectural Press. ISBN 1568982798. Keels, Thomas H. (2003). Philadelphia Graveyards and Cemeteries. Charleston, S.C.: Arcadia. ISBN 9780738512297. LeeDecker, Charles H. (2009). "Preparing for an Afterlife of Earth: The Transformation of Mortuary Behavior in Nineteenth-Century North America". In Majewski, Teresita; Gaimster, David R. M. International Handbook of Historical Archaeology. New York: Springer. ISBN 9780387720685. Meuser, Helmut (2010). Contaminated Urban Soils. Dordrecht, Netherlands: Springer. ISBN 9789048193271. Mickey, Thomas J. (2013). America's Romance With the English Garden. Athens, Ohio: Ohio University Press. ISBN 9780821420355. Mytum, Harold (2004). 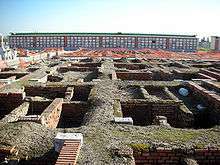 Mortuary Monuments and Burial Grounds of the Historic Period. New York: Kluwer Academic Publishing. ISBN 0306480751. Nonini, Donald Macon (2014). A Companion to Urban Anthropology. Malden, Mass. : Wiley-Blackwell. ISBN 9781118378649. Taylor, Richard; Allen, Alistair (2006). "Waste Disposal and Landfill: Potential Hazards and Information Needs". In Schmoll, Oliver; Howard, Guy; Chilton, John; Chorus, Ingrid. Protecting Groundwater for Health: Managing the Quality of Drinking-Water Sources. Cornwall, U.K.: World Health Organisation. ISBN 9781843390794. Thomas, Jeannie B. (2003). Naked Barbies, Warrior Joes, and Other Forms of Visible Gender. Urbana, Ill.: University of Illinois Press. ISBN 9780252028540. Upton, Dell (1997). "The Urban Cemetery and the Urban Community: The Origin of the New Orleans Cemetery". In adams, Annmarie; McMurry, Sally Ann. Exploring Everyday Landscapes. Knoxville, Tenn.: University of Tennessee Press. ISBN 9780870499838. Vercelloni, Matteo; Vercelloni, Virgilio (2010). Inventing the Garden. Los Angeles: J. Paul Getty Museum. ISBN 9781606060476. Worpole, Ken (2003). Last Landscapes: the architecture of the cemetery in the West. London: Reaktion Books. ISBN 186189161X.